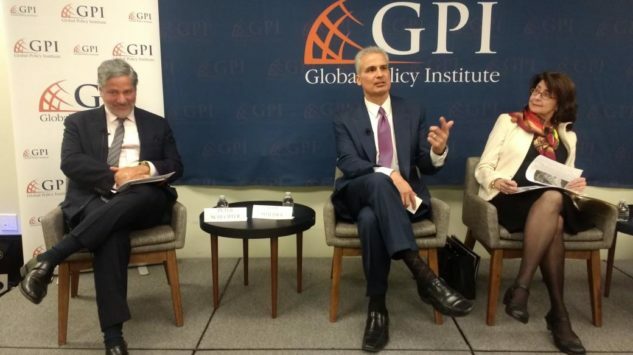 Altamar cohost Peter Schechter recently joined the Global Policy Institute for a panel event focusing on the foreign policy challenges facing the Trump administration. Panelists included Paula Stern, Founder & Chairwoman, The Stern Group, and former Chairwoman, U.S. International Trade Commission (ITC); John Sitilides, Principal, Trilogy Advisors LLC and consultant, State Department, Foreign Service Institute; Former Chairman, Woodrow Wilson Center Southeast Europe Project; and Peter Schechter, founder and Co-host, Altamar Podcast, and former Senior Vice President, Atlantic Council. Paolo von Schirach, President, Global Policy Institute and Professor of International Affairs and Economics, BAU International University, was the Moderator.